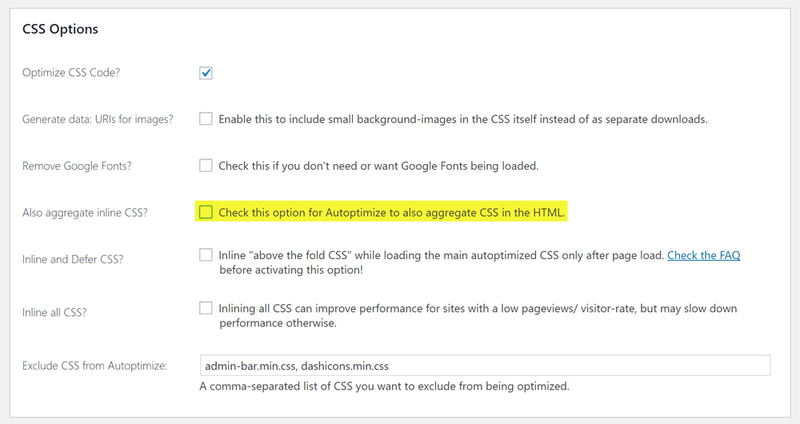 If your menu button is not showing anymore, please check and see if you are using the Autoptimize plugin. When this plugin optimizes CSS, its default is to place all inline CSS at the beginning of your site, which disconnects SuperSide Me’s inline styles from its main stylesheet. There are two options for you here. This should make your button(s) reappear.